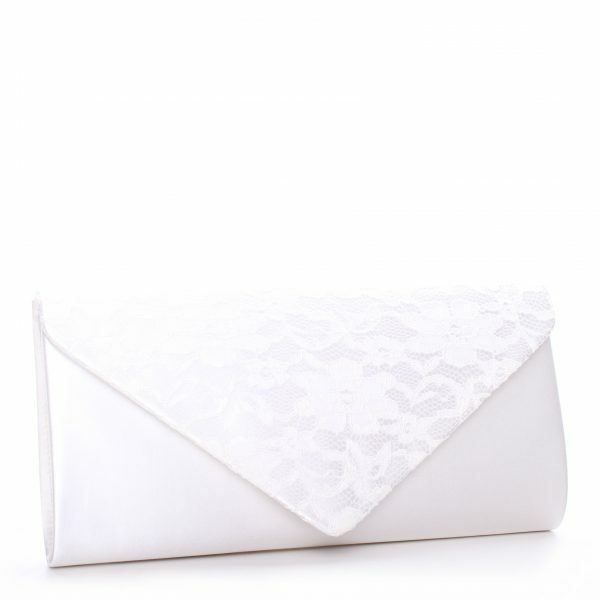 Perfect Bridal Minna Bridal bag. 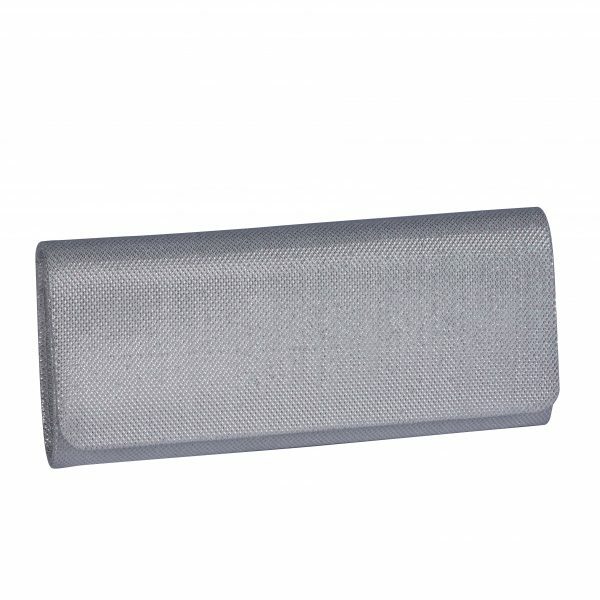 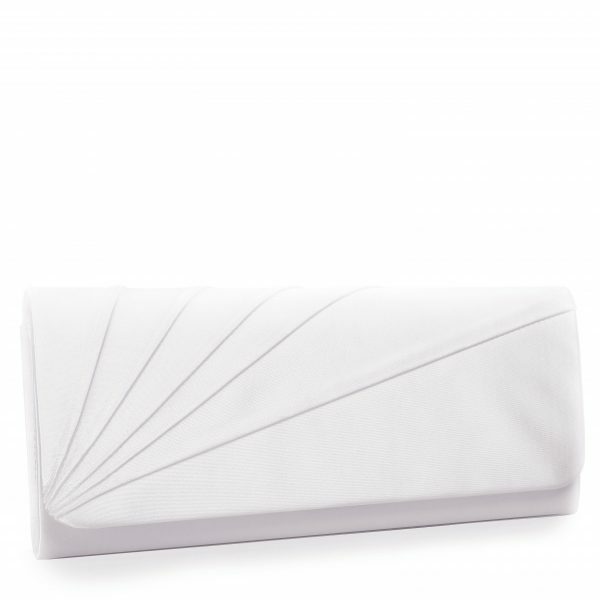 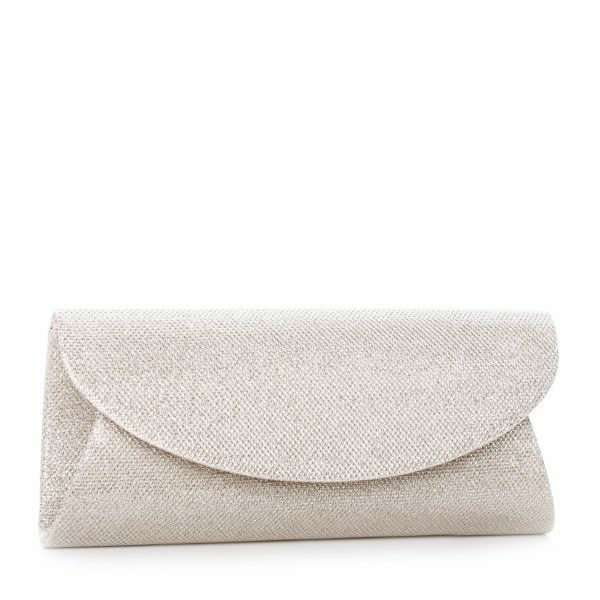 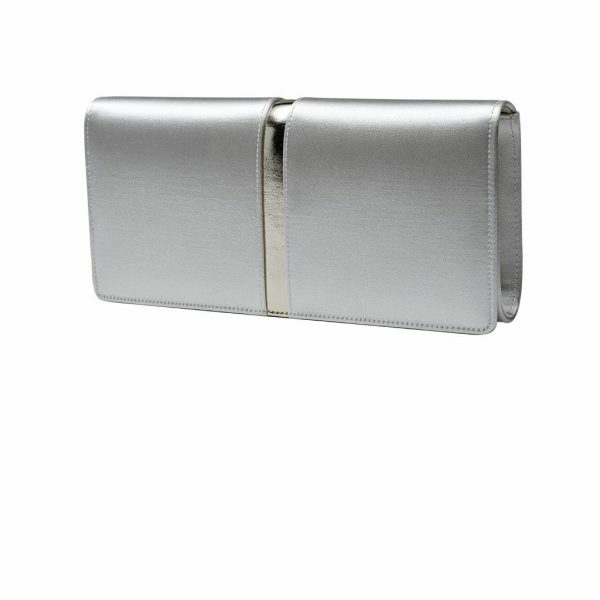 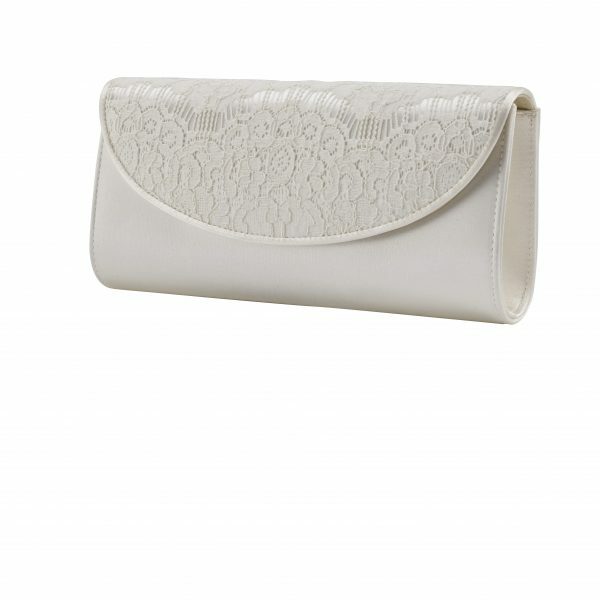 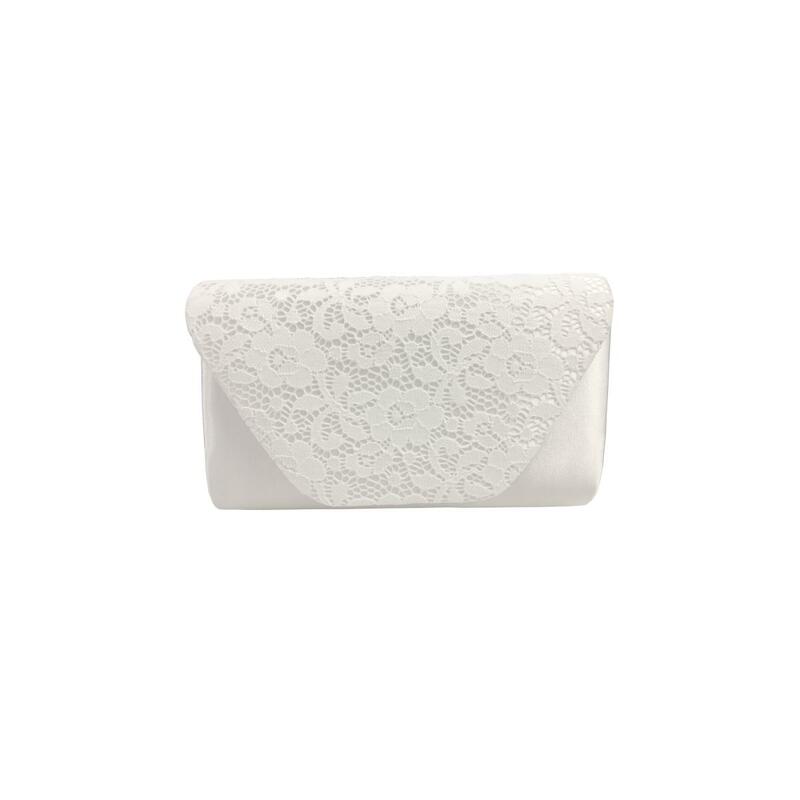 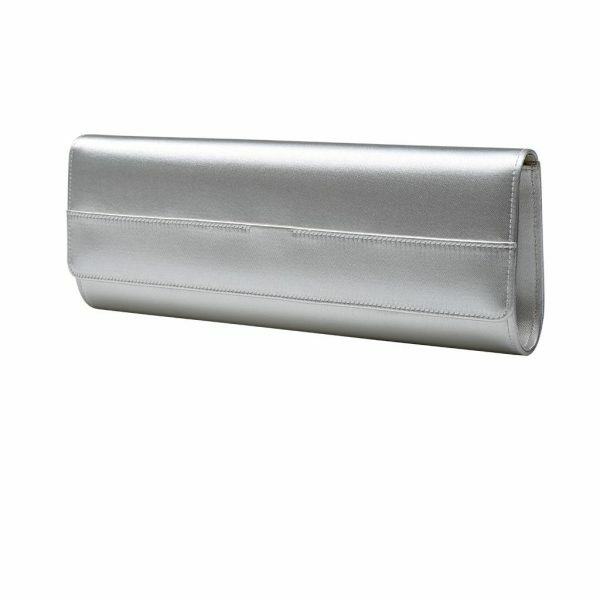 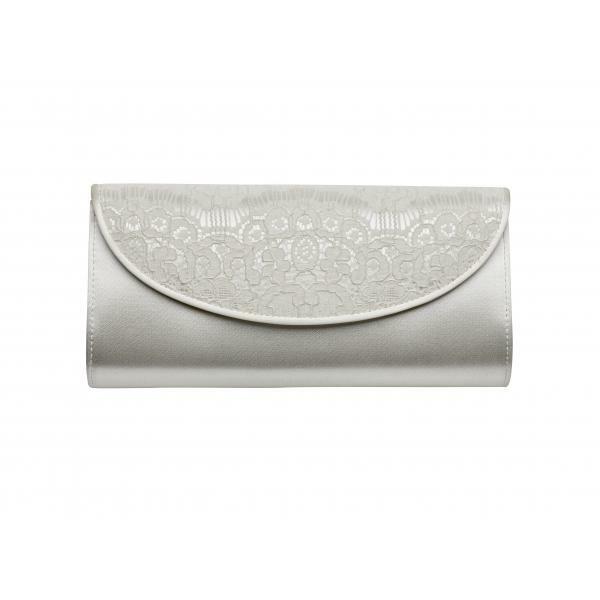 A modern, smaller clutch bag with a flap fastening in a dyeable satin and lace! 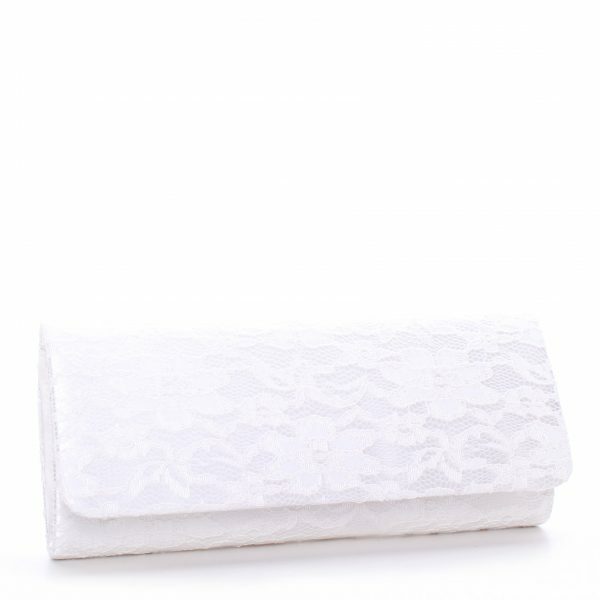 Minna by Perfect Bridal is a perfect size and is ideal for brides for those wedding day essentials! 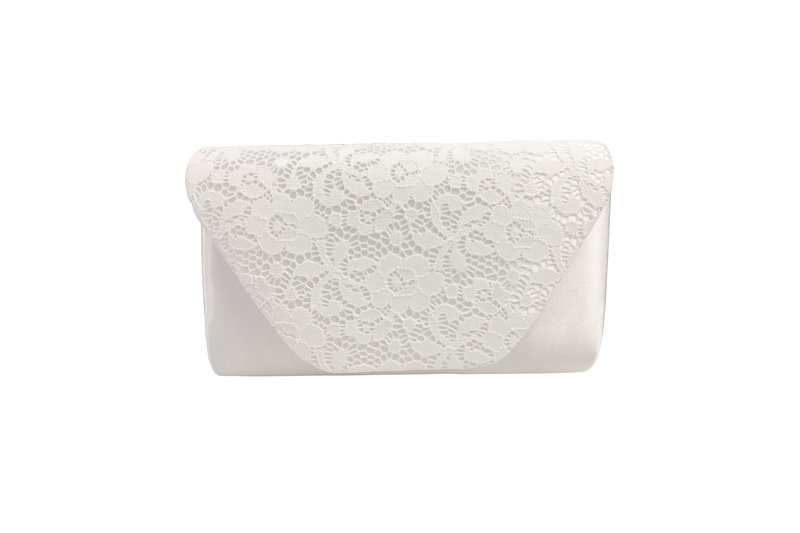 This satin/lace bag is perfect for bridesmaids or mother of the bride as is dyeable to any colour to match your special day outfit or any party dress!